Closed Saturday 26/1/19 and 28/1/19 for the Australia Day Public Holiday. 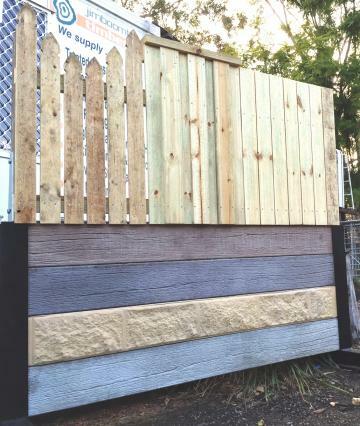 From Four Foot High Picket Fences to Engineered Retaining Walls Jimboomba Timbers has got you covered. 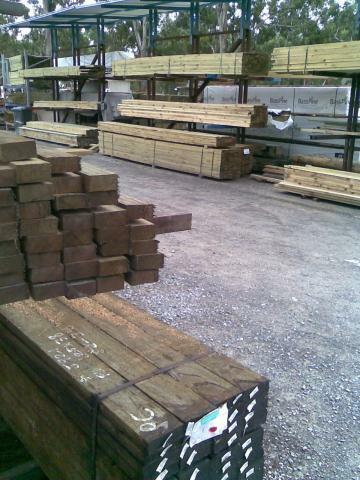 The Best Pine Sleeper Prices in Town, Competitive Prices on Pine and Hardwood Fencing make the Local Blokes from Jimboomba Timbers the first point of call when it comes time for your next Landscaping or fencing Project. Whether your a professional builder, a Tradesman or a Home Handyman, The trouble with building projects is when you need framing you need it now. The local Blokes at Jimboomba Timbers can boast the largest range of Framing in the Area. 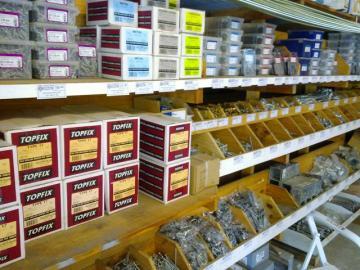 Our Custom Built Framing Racks are easy to access as well. Simply Drive-Up - Load-Up and get building in no time at all. 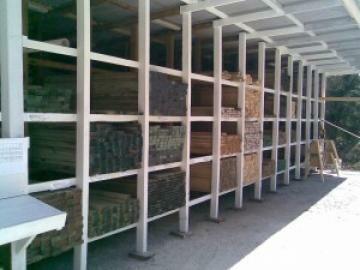 With Pack Rates available make Jimboomba Timbers the place to shop for all your framing needs. 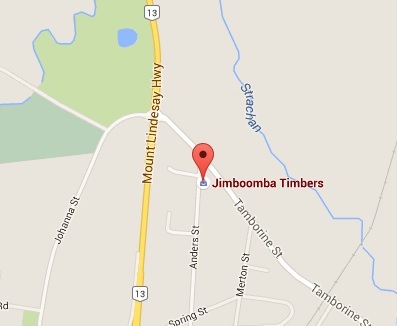 The Local Blokes at Jimboomba Timbers are proud to say that they carry the largest range of treated Pine Logs. From 80mm to 200mm diameter, with Lengths from 1.8 to 4.8 metres, Chances are we’ve got it in stock for you now. 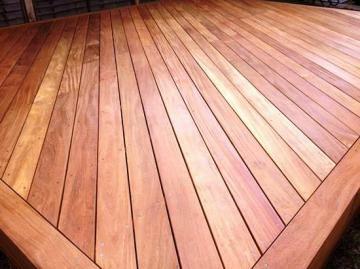 When you need to build a hard-wearing high durability structure, or your renovating an older style home which requires replacing hardwood members, the Local Blokes at Jimboomba Timbers have what you need. 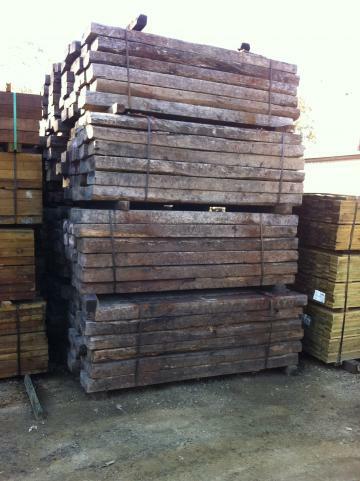 Now in stock are these popular sizes of Rough-Sawn F14 Structural Hardwood. 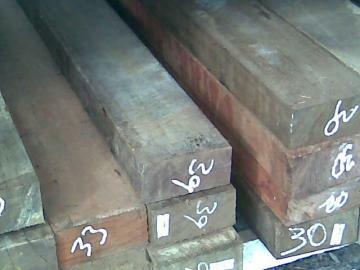 Note that hardwood is supplied to us in Random Length Packs, so please call ahead to check available lengths. 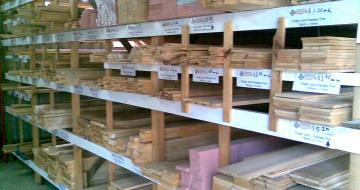 All our Structural Hardwood is suitable for applications up to and including outdoor above ground use. If you need to replace a Door Jamb, Finish off that deck with a Handrail, Build a Bookshelf or replace the Architrave in a whole room chances are you'll find what you need at Jimboomba Timbers. And if you can't fit that 5.4 metre Length in the 'ol Hatchback, The Local Blokes offer a free cutting service while you wait! The Local Blokes have had an ear bashing from Locals and Out-of-Towners alike and have decided to bow to your wishes and stock Fencing Wire and Accessories. It makes sense after all. So whether your your fencing the Back Paddock, or the front Yard, They've got the the right wire for a fantastic DIY Job. The Local Blokes at Jimboomba Timbers are the first to admit that there's nothing better at the end of the day than sitting back on your deck enjoying a cold one. So when it comes to decking they make sure they've got the right selection of posts, Joists & Bearer sizes in Timber Framing and of course the actual decking boards as well. 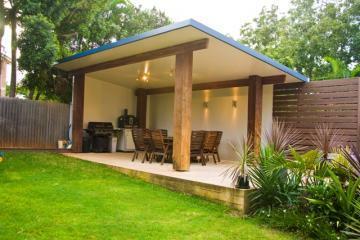 But there's other nice touches you can add to your house or pool deck to create a truly magnificent area to call home. 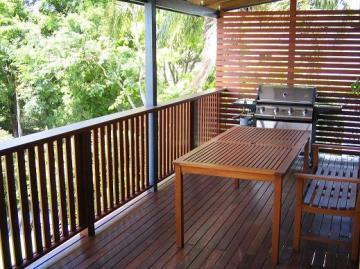 Jimboomba Timbers stock Dressed Merbau for matching Screens and Step Treads, Handrails and exposed Posts. 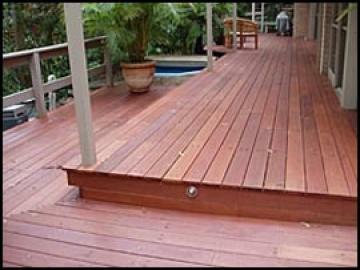 So when you start planning your deck,be sure to think about the whole design from the ground up. 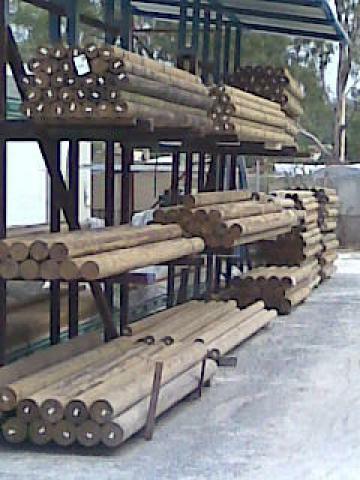 After the 4 years in business celebrations had died down, the Local Blokes could've easily sat on their Laurels, and kept 'Business-as-Usual' but they instead decided to keep on making Jimboomba Timbers the best stocked fencing destination south of the Brisbane River. 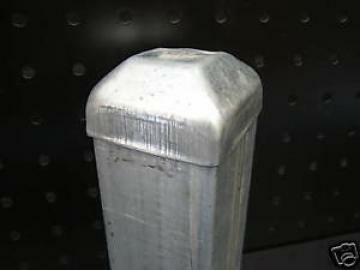 Galvanised Mesh Gates and Hinge/Latch sets are in stock now and available in sizes up to 4.2 metres. 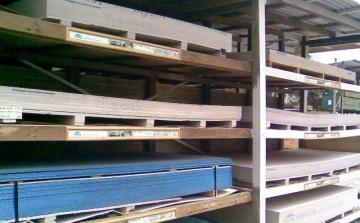 If you're Putting up some shelves, Making a Kennel or a Cubbyhouse, or topping a Workbench, look no further than Jimboomba Timbers for a great range of Plywood and MDF Panels. When you vist the Local Blokes at Jimboomba Timbers, don't be afraid to venture into The Shed where you'll discover their convenient range of Hardware, including Nails, Screws, and a selection of Timber Connectors to make building a Deck or a Pergola as Easy as hammering a Nail, and if you're fencing they've got all your fencing wire and accessories too! With it's Timeless Style, Classic Lines, seemingly Endless Applications, Low Maintenance and Affordability, Lattice is a popular way of Creating Privacy, Wind Protection or simply enhancing an Outdoor Living Area. 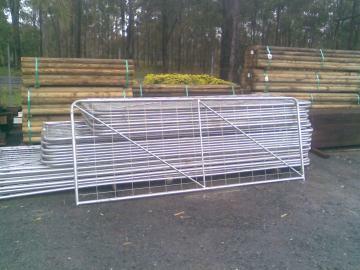 The Local Blokes at Jimboomba Timbers keep in stock popular sizes of Premium Lattice Panels. featuring 42 x 13 slats and 50mm Diagonal Diamond Pattern, these are perfect for the DIY Weekend Warrior to install. Or if you prefer, we can order custom sized panels, framed to the precise dimensions you need. 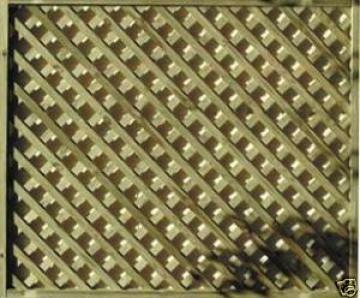 Also available Vertical/Horizontal Patterned Lattice by Special Order. 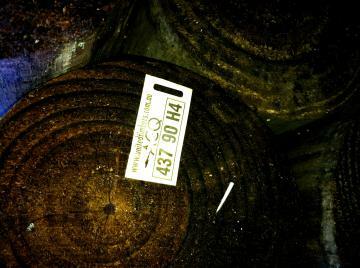 The evidence AGAINST the use of CCA Treated Timber isn’t strong, but the simple fact is that lots of people don’t trust it, won’t trust it and won’t use it because Arsenic is one of the Chemicals used in the Manufacture of the CCA Compound. 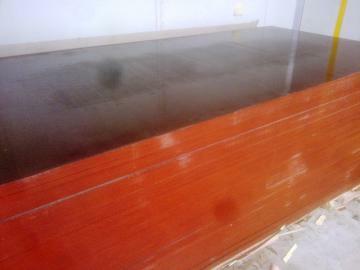 In fact most State Governments and Local Councils have chosen to err on the side of caution and have completely disallowed the use of CCA Treated Timber in Schools, Playgrounds, and other areas where Children come into contact with the Timber. But there is good news. There’s a newer Timber Treatment called ACQ - Alkaline Copper Quartenary which is manufactured without using Arsenic and Chromium and offers real peace of mind, when used in the construction of Sandpits, Cubby Houses & Vege Gardens. 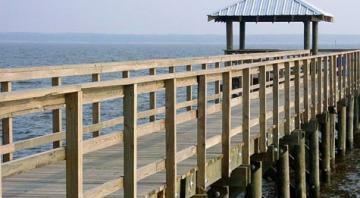 It can be hard to track down Treated Hardwood that's Suitable for Marine Applications, but the local blokes are happy to help with timber for your Boat house, Boardwalk or Jetty! Phone today for an obligation free quote. A great looking Hardwood alternative that's colourfast and cooler underfoot in exposed conditions. Jimboomba Timbers are the new distributor for Solaris Insulated Roofing. Call in for a free consultation and quote! B - Good Stocks available now! Building Cubby Houses or Swing Sets is not that hard to do, But it can be difficult to acquire the recommended treated timber to do the job. 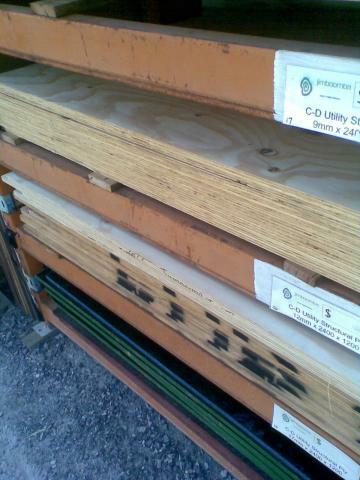 H3Treated CD Utility Plywood is perfect for any outdoor above ground application, such as cubbys and kennels. 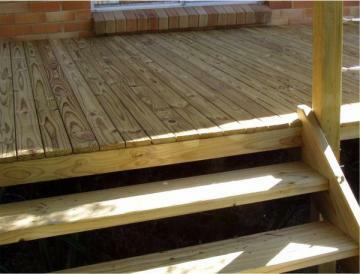 Stair Treads & more to match your Deck. 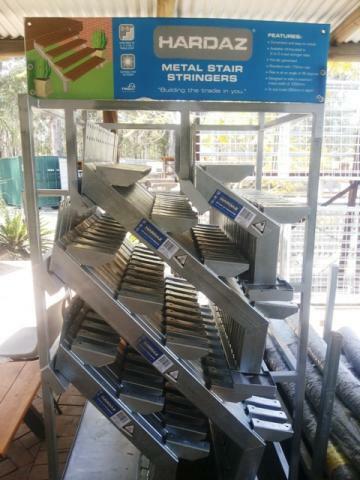 The Local Blokes are now closer still to being your one-stop shop with the addition of a range of Galvanised Stair Stringers to their comprehensive hardware range. 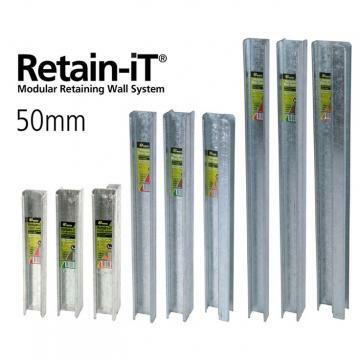 The Full Retain it Range - Now in Stock!